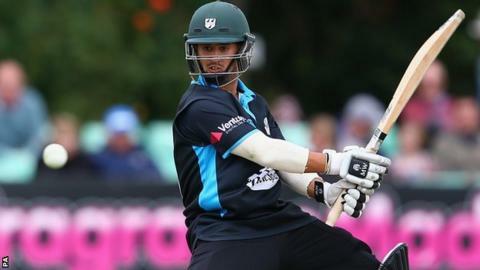 Worcestershire all-rounder Brett D'Oliveira has signed a new three-year deal, tying him to New Road until 2018. The 23-year-old opening batsman/leg spinner follows the lead of Joe Clarke, Ed Barnard, Joe Leach, Tom Fell and Ross Whiteley in extending his deal. "We have a great bunch of lads, it's the city where I'm from and it's the club I love playing for," he said. "I'm very passionate about the club and want to win games of cricket for Worcestershire." D'Oliveira is the third generation of his family to play for the county, following in the footsteps of his late grandfather, former England all-rounder Basil, and his late father Damian, who served the county as player and coach. He made his limited-overs debut against Yorkshire in 2011 and his first-class debut against Warwickshire a year later. D'Oliveira impressed with the ball in Worcestershire's run to the T20 Blast quarter-finals, taking nine wickets, proving their most economical bowler in the competition. His five Championship appearances in 2015 have all come since the start of July.